2014 is going to be a big year for me, what with my turning 40 and all, so I want to make sure it’s another good one. So in the same spirit of my 2013 resolutions, I’ve come up with a list of five that I can keep, and that I hope will help me make this a good — no, a better year. Do more things, and live a more interesting life. Look forward more than I look back. For the record, I’m not resolving to lose weight. I had too much fun “finding it,” so why would I want to lose it? If I should shed a few pounds this year, that would just be a bonus. But seriously, I’m feeling good about these five resolutions. I look forward to a year from now, when I can say I bucked the trend and kept them all. 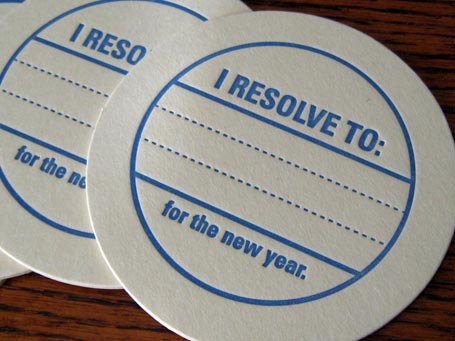 What are YOUR resolutions, or the things you’re hoping to change about yourself in 2014? Share your answer in the comments section below. Martin: Solid resolutions for 2014. Big picture enough to be attainable, yet specific enough to not get lost in ambivalence. Thanks, Scott. The new year is full of cliches, but I think it’s good to set goals and have positive ambitions, however you do it, whether it’s with resolutions or words. Good luck with yours, and Happy 2014! My big resolution started October 2013. No more sugar and flour! 87 days later so far so great. My resolution is to continue to do today, what I did yesterday. For my health! That’s impressive, Jeff! Not sure I could commit to something like that … but I can commit to this: I will eat the flour and sugar that you are not eating. Deal? In fact, I’ve already had both those things today, so you’re good to go. 🙂 Happy New Year to you, too, my friend! And thanks for the comment.